Sunday is always the best day of the week for online poker tournaments, USA players can play for more than $275K in guaranteed prize pools at America's favorite online poker site. 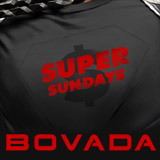 Bovada Super Sundays also includes the biggest weekly tournament The Big Deal which guarantees $100,000 every Sunday. Bovada have anonymous poker tables that protect recreational players from being hunted by sharks, the USA poker site also prohibits the use of all poker tools to provide fair online poker for all players. 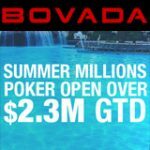 Bovada Poker is restricted to USA poker players only, however Canadian poker players can enjoy the same promos and tournaments at Bodog Poker. 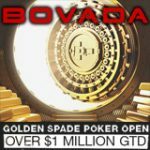 Bovada/Bodog ranks in the top 10 poker sites in the World and is the largest US poker site based on traffic of players online. 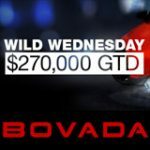 Sunday is filled with action-packed tourneys at Bovada with tournaments to suit players of any stake level with affordable solutions to qualify for The Big Deal $100,000 guaranteed tournament. Make a first deposit and get a poker bonus up to a maximum of $1,000 at Bovada or Bodog, other games on offer include Casino, Racebook and Sportsbook for all your betting requirements. 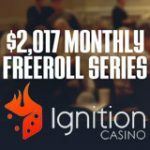 The Sunday line-up of tournaments adds up to more than $275K, be sure to get your piece of the action. 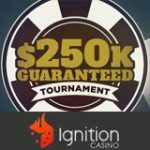 Players can also play their way to The Big Deal tournament for less than $20, the special qualifier guarantees at least 50 seats to the $100k guaranteed tournament. 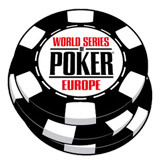 Satellite tournaments also run daily were players can win a seat using their poker points. See the Super Sunday schedule below for tournament details of the Sunday events at Bovada and Bodog Poker. 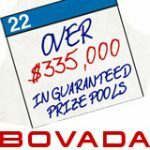 Bovada also offer daily guaranteed poker tournaments with more than $1.5 million in prize pools every week.